Coupons Jan 5, 2012 in free, SundayCouponPreview · Expired! Tomorrow will be a great day to grab a Sunday paper. There’s going to be FOUR coupon inserts. There will be 2 Smartsource, 1 Red Plum, and 1 Proctor & Gamble. Always double check your newspaper to make sure your inserts are there. I’ve heard a lot of the inserts have been missing from the papers. Do you ever wonder what coupons will be in your local paper? Visit, Sunday Coupon Preview for a complete list of coupons in your area. This will help you determine how many newspapers to buy or not. Always double check your newspaper to make sure your inserts are there. I’ve heard a lot of the inserts have been missing from the papers. Also, don’t forget about the other coupon resources. You can print for free from Coupons.com, Coupon Network, and Red Plum! Coupons Dec 15, 2011 in free, SundayCouponPreview · Expired! There will be two inserts today. One Red Plum and one Smart Source. Double check your newspaper to make sure your inserts are there. I’ve heard a lot of the inserts have been missing from the papers. There will be three inserts this weekend. One Red Plum and two Smart Source. Double check your newspaper to make sure your inserts are there. I’ve heard a lot of the inserts have been missing from the papers. Coupons Nov 11, 2011 in free, SundayCouponPreview · Expired! There will be two inserts this weekend. Double check your newspaper to make sure your inserts are there. I’ve heard a lot of the inserts have been missing from the papers. 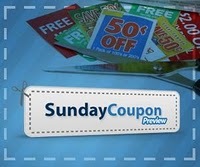 Visit, Sunday Coupon Preview for a complete list of coupons in your area. Coupons Nov 3, 2011 in free, SundayCouponPreview · Expired! It’s the end of the month which means it’s a big coupon weekend! We’ll have three inserts this weekend. One each of Smart Source, Red Plum and P&G. Double check your newspaper to make sure your inserts are there. I’ve heard a lot of the inserts have been missing from the papers. Coupons Oct 27, 2011 in free, SundayCouponPreview · Expired! Today we will have two coupon inserts. Double check your newspaper to make sure your inserts are there. I’ve heard a lot of the inserts have been missing from the papers. Coupons Oct 23, 2011 in free, SundayCouponPreview · Expired! It looks like we are going to have another great weekend of coupons! We will see three inserts this weekend including a P&G insert. This is rare to have two in one month so you’ll want to make sure you grab a paper this weekend. Double check your newspaper to make sure your inserts are there. I’ve heard a lot of the inserts have been missing from the papers. With the holiday, we won’t have any coupon inserts. Enjoy you’re weekend everyone! If you are low on coupons, don’t forget about the other coupon resources. You can print for free from Coupons.com, Coupon Network, and Red Plum!